The Pirastro Evah Pirazzi 225321 G String has easy playability and a precise sound. The synthetic core produces warm, clear tones that respond to the nuances in your playing style. The medium gauge balances playability with versatility. The silver winding adds a controlled resonance to your bass frequencies, as well as a comfortable feel that is ideal for developing musicians. This G string has a knot end, and is designed to fit full size violas. The Gold Label strings, made from sheep gut, are wound and polished by hand for a rich and complex tonal core. This enables the performer to reach every corner of tonal colour with minimal difficulty. The winding on each string develops and enhances the overall sound, as well as providing a more comfortable feel. 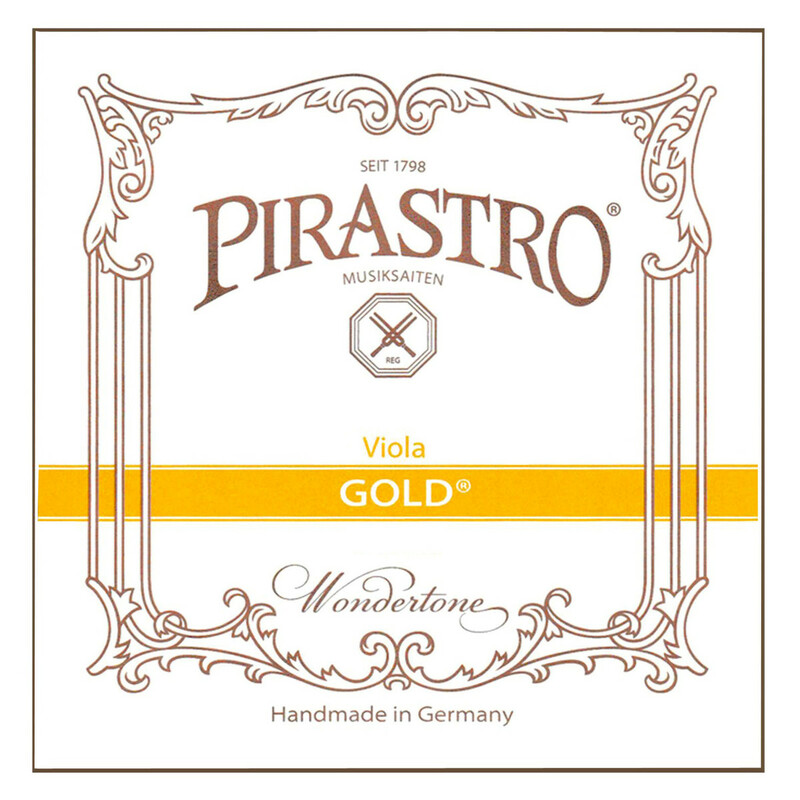 The Gold Label is a fantastic set of strings for advancing musicians with a vivid and expressive tone.